Miller IDS is proud to feature Sabre Commercial, an Austin startup, as they celebrate their 10th anniversary. Sabre set out to become a commercial construction company that collaborated with the best local industry talent by setting a standard for high quality work, running safe job sites and maintaining ethical business practices. Sabre Commercial at RECA in 2017. 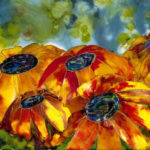 Since 2008, the company has expanded and now serves the Austin and the greater San Antonio areas. Sabre has completed over 700 projects in their ten years of business and currently has over 40 projects under construction. Austin-grown and community oriented, Sabre is recognized by the Austin Business Journal and the Austin American-Statesman as one of the best places to work, 2016 and 2018 AGC National Safety Excellence Award winners, ABJ Fast 50 award winners, and were finalists for the Austin Gives program. 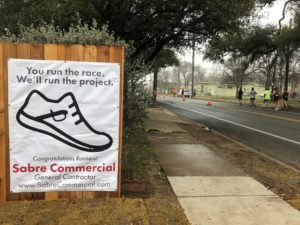 Always participating fully in the Austin community, Sabre provided this banner congratulating runners at the Austin Marathon. A hemmed and grommeted banner congratulating runners of the Austin Marathon. Printed on new CET direct to board printer! Over the years, Sabre has used both the CIM/Reprographic and the Graphics departments within Miller IDS to bring their buildings to life and support the Austin community. 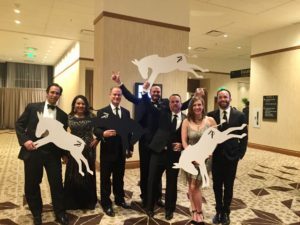 Sabre represented their boxer at the Real Estate Council of Austin (RECA) Knockout Night in 2017 with these awesome gatorboard mule cutouts with the Sabre logo. 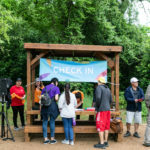 With the population boom Austin has experienced, Sabre continues to give back to the community that has built them up (and that they have helped build!) over the past ten years. We extend our greatest congratulations to John and the entire team at Sabre and wish them many prosperous years in the future! 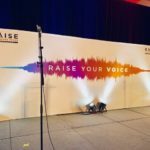 “We’re celebrating our 10th anniversary at Sabre Commercial and Miller has been a reliable and steadfast partner from the start. 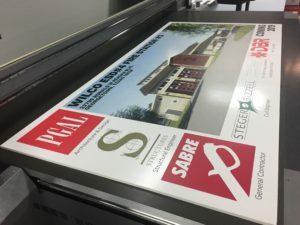 From our everyday printing needs, such as construction documents and delivery, to our large-scale jobsite signage, truck brand decals and other marketing materials, their service has been outstanding.” -John Cryier, Co-Founder and CEO of Sabre Commercial. Sabre Commercial, Inc, is a client-focused commercial construction company that collaborates with the best local industry talent. Their work in the corporate, education, healthcare, and industrial markets is led by their belief that construction is greater than the sum of its parts. It’s about vision, confidence, and the network of people who make it all possible.